Over two decades now, Rwanda and France have had a sour relationship. The two countries’ diplomatic relationship has remained parallel and dramatic. Rwanda says, “we will not be bullied, whatsoever,” and France on the other side wont let go of their arrogance. From the face of it all, no side will kiss a frog. France has gone as far as peddling lies and also financing projects that undermine the RPF government, supporting the genocidaires and detonating falsehoods to humiliate and discourage Rwanda. Obviously France was provoked by Rwanda joining the Commonwealth, the English world and saying “Au revoir” to the Francophone, the French world. For the first time, a Rwandan politician familiar with what has been happening behind the scenes speaks out. Early November 2016, Tito Rutaremara, a respected and a veteran RPF politician spoke to Taarifa’s Chief Editor Magnus Mazimpaka. During this exclusive interview Rutaremara gives his account of the Rwandan liberation struggle that ended divisive politics, toppled a genocidal government and eventually stopped the genocide against the Tutsi. 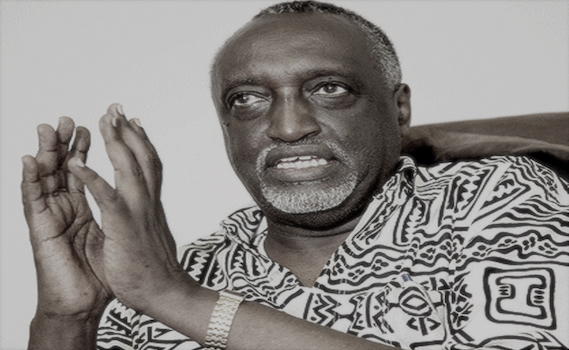 Rutaremara, a founding member of the RPF-Inkotanyi, also discloses startling details of how the RPF-Inkotanyi frustrated the French war strategies especially after the plane crash on which President Habyarimana was aboard. The RPF historical also recalls that during the confusion that followed the demise of Habyarimana and aggravated by the advancing RPF, Tanzanians, Germans and Americans helped the French to create an interim government at the French Embassy in Kigali. The whole plan failed. Simultaneously, UNAMIR brought into the country air cargoes full of weapons under the pretext of evacuating European dignitaries and the French nationals. Rutaremara says the French on realizing that they had been squarely defeated, they employed a war strategy called TOTAL WAR, typical of the French – which failed in Vietnam and Algeria. Total war meant that they had planned to cleanse the entire population. The interview will run in series. Rutaremara: There were not many French people in Rwanda except the Catholic priests. There were more Belgians in Rwanda but when Habyarimana came to power, he shifted from Belgium to France. By then, the two countries started with military cooperation. And they are the ones who introduced the gendarmerie who replaced the Rwandan Police that was there before. Rwandan soldiers started going to France to get military training. A good example is Col. Bagosora and some others. This military cooperation between France and Rwanda was valued the most important in their diplomatic relations. There were French based non-governmental organizations (NGOs) and many French missionaries in Rwanda and the French dominance in Rwanda gradually increased. This is basically how the cooperation between Rwanda and France started. The cooperation between the two countries grew up with time to stretch from military cooperation to include trade relations. Later on, secrets about the friendship between the Habyarimana’s and Mitterrand’s son leaked. Mitterrand’s son was in charge of African Affairs. The cooperation between the first sons of Rwanda and France was basically in military affairs and it later resulted in the introduction of Gendarmerie in Rwanda. France started supplying weapons and training to the Rwandan army alongside bolstering trade relations. The bonds between France and Rwanda became stronger with the passage of days and time came when there was a thin line between the cultures of both communities. The shared lifestyles saw the introduction of French as a medium of communication not only in Rwandan schools but also in official matters. Also other French cultures came to Rwanda at the time as in dressing and cuisine. It was as if Rwanda formed the border between the Francophone and Anglophone worlds because from Rwanda the next country was Uganda and Kenya, which were strong British colonies. Rwanda and Burundi served as “fortresses” or barriers or buffer zones to stop any penetration of the Anglophone influence into the French colonial territories further to the west of Africa. The Rwandan Patriotic Front (RPF) started the liberation struggle from Uganda and Kenya. You are also aware, most of the RPF leaders were born and raised in Uganda and Kenya, which are purely Anglophone countries, and some of them had taken part in Uganda’s liberation war. So, when the RPF made the first attack in 1990, Rwanda contacted its ally countries for the military assistance. France was the first ally to contact and the second was Belgium then Zaire. The three were Rwanda’s allies that provided military support to defend Rwanda. Then, other countries that came in later provided financial support. But unfortunately, when we were fighting them [FAR], it happened that some Rwandans and most of the Zairian soldiers looted and raped women, which attracted the international media’s attention and exposed several acts against humanity committed by Habyarimana’s Army and ally forces fighting alongside it. Such atrocities were published exposing them to the international community. The Belgian government made clandestine military roles for fear of the repercussions that would follow their direct involvement and they later pulled out from the joint forces and flew back home. The Belgians returned to their home country when the killings had intensified. The French found no problem in the direct involvement since they had socialists dominated Chamber of Deputies. Belgians went but the French and Zairian forces remained. Later, Zairians, also, returned because we had requested Zaire be a mediator between Habyarimana’s government and the liberation army much as we were aware that they were fighting alongside his army. French troops left but continued to provide the intelligence personnel; military instructors and they played a central role in the planning of the war against us. In spite of all that we continued to fight them. The French soldiers fought alongside the Rwandan army trained the Interahamwe militia group, manning the tyranny in Rwanda. For France acted as if they were legitimate as they attributed their fighting to the fight against Anglophone as they said RPF attacked from Uganda an Anglophone nation but this is only the attribution because they were so many Francophone people in Zaire and Burundi. In The Eastern, that is Umutara, they fought but Kagame won the war by using the strategy of fighting in the nights and this provoked the French generals because they could not understand how Kagame’s strategy could be superior over theirs and this is not much known; it is as if it is a personal matter. Mazimpaka: Does it mean things will get in the right way between Rwanda and France? Rutaremara: French people do not hate us because they do not know that we are hated by high military officers and politicians and other policy makers in France but instead the number of Belgians who hate Rwanda is larger than that of the French people because in the Flemish, it is taught that Tutsis are bad people and that the government of Rwanda is a bad one. They went on to support the government of Habyarimana and then came to the mediation time. Meanwhile, the French were always present like other countries in the mediation meetings. We managed to sell our ideas successfully during the peace talks because we worked tirelessly whereas representatives from the Rwandan government would come, but would spend all their time drinking. They would attend the peace talks with no ideas and to make matters worse they would disagree amongst themselves. We, the RPF representatives, were indeed organized. We had clearly articulated our views in Kinyarwanda, French and English. Hence, our opponents were compelled to discuss our views and this was a big blow in the face of the French and caused great humiliation. Also, during the genocide, French soldiers gave trainings to Interahamwe militias and they would be seen on the roadblocks. They were in the intelligence and all over in CID rooms according to confessions of our soldiers who had been captured. Given the incompetence of Habyarimana’s army which the French officers were aware of, they were always suspicious that the Inkotanyi men would maneuver their way past the roadblocks. Every time they were on the roadblocks, they thought they would catch men from RPF . They evidently provided the reinforcement in terms of manpower to the Rwandan army as well as supplying weapons to the Interahamwe. When the genocide against the Tutsi started the Interahamwe who had been trained by the French army officers carried out the mass killings. Mazimpaka: Was the Interahamwe killing strategy part of the trainings? Rutaremara: I will later explain the ‘’Total War’’ [wars concerning ethnic cleansing] strategy used by the French, which is taught in the French military academies. In the UN Security Council, France denied that what was happening in Rwanda was genocide because then the UN would have been forced to come to intervene in stopping the genocide. They also supported the Rwandan genocide regime that was practically implementing the genocide. When the plane of Habyarimana crashed, the French with the assistance of Tanzania, German and Americans helped in forming a new government in the meeting that was convened in the French Embassy. When the RPF army captured Mt. Rebero, the French were the first to flee because they had fear we would shoot them. The other big act the French did is the UNAMIR they brought into Rwanda saying they had come to rescue and evacuate their fellow French nationals and European dignitaries. But, UNAMIR had brought air cargos full of weapons, which they left at the airport, and the UN was not aware of this. They fled back home with their people with family members of President Habyarimana and those of several high profile henchmen in Habyarimana’s government. But they left behind their Tutsi employees and were obviously killed during the genocide. They continued to help the government politically and financially providing them with weapons as they helped them get money from France in the Bank of Lyon. This money was used to buy weapons from South Africa and Egypt. The officials in Rwanda government fled to France and France gave them diplomatic treatment. But this was done secretly because information had leaked to the UN that the government of Rwanda was carrying out the genocide against Tutsi. When RPF captured Kigali, France wanted to come back and fight alongside the Rwandan government troops. They contacted the UN Security Council claiming they wanted to stop the genocide. At the time the Belgians had also gone back to Europe while UNAMIR peacekeepers had reduced to only 250 soldiers. There is a document quoting one of the high ranking army officers responding as to why they did not land in Kigali or go via Goma, Burundi or possibly Uganda as it had been planned before coming to Rwanda during the genocide. He said: “It was not done though it had been stated in the plan, we had to stay there’’. But the truth behind their reluctance to return to Rwanda was upon their conviction that they would not seize Kigali that had been overrun by the RPF troops. Mazimpaka: Why? 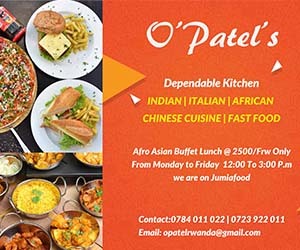 Just Because KIgali had been captured? Rutaremara: Yes, because Kigali had been already captured. And when they wanted to relocate their forces to Butare, it was also captured that very evening. You understand their frustration. They had bought fighter aircrafts, but they were losing it all. Mazimpaka: And then they had to explain that to their bosses back in France? Rutaremara: Back at home in France, they saw it on TV that Kigali had been captured and they feared to send their troops because it would be perceived by the international community as an attack on civilian population or something else since the Rwandan government had already fled. This frustrated them because they came thinking that they would settle in Kigali and help the Rwandan [Habyarimana’s] army and fight RPF and now Kigali had been captured by the RPF and the government army had also fled the city. The French army found themselves not in position to come back to Kigali because they would find no justification for their action. They changed their plan to have Butare City a new base and sent Romeo Dallaire to tell Kagame not to capture Butare, but Kagame captured Butare on that evening. Dallaire came and said to Kagame, “Please, do not capture Butare, French men want it’’ and Kagame telephoned Gen. Fred Ibingira and his soldiers and told them to capture Butare. Butare was captured that evening.” [Laughs]. Mazimpaka: Why did they have to go through Dallaire and why did he go on with telling Kagame French men wanted Butare? Rutaremara: Because they needed a big city to serve as fortress for a retaliation or launch a military assault. Because they came from Gisenyi and when they arrived at Mukamira, they found the road was closed and they were left with no other options save from crossing through Bukavu into Rwanda. You understand all those maneuvers RPF had to subject to them to. No army general would enjoy that. Apparently, when they came to Africa, they expected Africans to relate to them as their superiors who just command you to stop and you stop, but the RPF did not stop. Mazimpaka: The French knew RPA was fighting to overthrow the regime, why would they ask the RPF not to capture Butare? Rutaremara: Arrogance. They said “we are powerful’’ and, well, they did not say it directly to Kagame, but they said that through Romeo Dallaire when they told him “Tell RPF not to capture Butare, just advice them not to’’. Mazimpaka: Was this some kind of an intimidation to RPA? Rutaremara: It was meant to intimidate RPA, nevertheless, Butare was eventually captured. About Kigali, Kigali had been captured and the government had fled with the army. When they left Goma, the population applauded them but when they reached Mukamira, they found the way had been barricaded and Goma would not serve a similar purpose. They had to cross to Rwanda through Bukavu. Former French Premier Edward Balladur and other forces entered Rwanda through Bukavu and Bukavu was not in the original plan. They knew they would settle in Goma with their tanks and the army while planes would be placed in Kisangani. You understand, their calculations failed and this frustrated them very much. We defeated them through strategies without a single gun shot. They had a strategy I would like to tell you about. French men fought in the Vietnam War where they were defeated. It is a strategy you use in the war where you cleanse all the population and when your enemy comes, he finds the place empty. That strategy was used by Vietnamese and defeated French men in that war. France adopted and developed that strategy and used it in Algeria and they failed. And they used this strategy in the genocide. It was a way of terrorizing the population, scaring them from supporting and joining the RPA. Their intention was that, when RPA wins the war, they would not find any population. When the RPA won the war, they pushed the population into Zaire [DRC]. It is their strategy. They armed the defeated forces and trained them in Zaire, with the help of Mobutu. Unfortunately, RPA went to Zaire and dislodged the defeated Rwandan army forces as the French people had already returned to France. RPA brought back home almost all the refugees. Magnus: Tell us more about the war strategy..
Rutaremara: It is called `TOTAL WAR’, `Guerre Totale’ in French. It is the tactic where the war is fought not only by the army but the whole population. You take the entire population and leave nothing behind. It was used by the Ancient Roman warriors but for them, they used to set on fire all the settlements and property when they realized they were being defeated. French take the population, which is called TOTAL WAR, and it is taught in French military academies. They applied it in Rwanda. It failed. Mazimpaka: Ofcourse they did not take the whole population into Zaire, which part did they exactly take with them, Northern part? Rutaremara: Not only in the north but the whole country. They would shoot people who did not want to go with them in Zaire. They went with all the people including children except those who managed to hide. They told them to flee and escape, threatening them that RPA soldiers would kill them. Mazimpaka: Could that be the cause for the big number of refugees that flocked Zaire? Rutaremara: Yes. That is what increased the number of the Rwandan refugees in the neighboring countries. There were two million refugees in Zaire and 800,000 in Tanzania. Two million people could not flee flee from Ruhengeri alone, where the RPA had not fought. We had not fought in Zone Turquoise but people fled those places. It was in that strategy. But afterwards, Rwanda crossed to Zaire and repatriated the civilian population. I remember, Alain Juppe’ used to say “They [Rwandan population] voted with their foot’’. He wanted to say that they had voted for their government against RPF by following their defeated government and fleeing the RPF. Rwanda brought back the population and we removed Mobutu from power. Mazimpaka: Who did Alain Juppe tell that? Rutaremara: He used to make announcements on radios, everywhere. He said “They are voting for their government by foot’’ wanting to show that the people had refused to be ruled by RPF that had already conquered the nation. Their strategy failed and that is exactly the cause of hatred by the high command of the French army for Rwanda. We are normally hated by their generals because they were defeated with their strategies. They would drop the hatred if they had won the war. The second part of the interview will be published on Wednesday March 8, 2017. He talks about the controversial French Judge Jean-Louis Bruguière’s fate after he quit the judiciary to join politics and failing miserably, RPF’s fights with NGOs, the war in Congo, the 2003 Rwandan Presidential elections and much more.